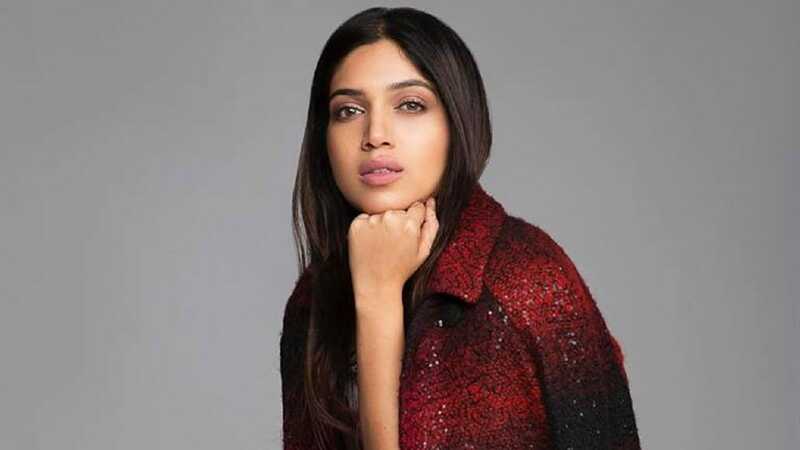 Bhumi Pednekar may be just five films old, but she is being recognised as the face of courage and confidence in Bollywood. Her choice of roles is definitely placing her in a position of power. If in her debut, Yash Raj Film’s Dum Laga Ke Haisha, she stood up against the stigma overweight women face, in her next release, Toilet: Ek Prem Katha, she played the rebellious daughter-in-law who fought to have a toilet at home in a part of rural India. Her third, Shubh Mangal Saavdhan, addressed erectile dysfunction, and in Zoya Akhtar-directed short film Lust Stories, Bhumi went on to showcase the nuanced emotions of a maid in an affair with her young, single employer. “If you see in the last few years, there have been films that are high on content, and that make people uncomfortable and also makes them think get them more excited,” says Bhumi, who was obviously thrilled when director Abhishek Chaubey approached her for the dacoit drama Sonchiriya. Set in the Chambal region during the 1975 Emergency, Sonchiriya, with an ensemble cast, follows a group of warring dacoits on the run from a police officer. Also starring Sushant Singh Rajput, Manoj Bajpayee, Ranvir Shorey and Ashutosh Rana, the film is written by Sudip Sharma (NH10, Players) and Chaubey (Udta Punjab, Ishqiya). “Chaubey has always been on my bucket list. Sonchiriya is just my fourth film. It is a great privilege for me to work with such a fine craftsman and that too, so early on in my career. When I heard the character, the story, I wanted to be this girl, Indumati Tomar. Chaubey’s visualisation was brilliant. The film is based in 1975 and whatever social comment he has made is so relevant — gender discrimination, caste discrimination, sheer consequence of poverty, lack of education and whatever societal norms people forced upon you and the consequence of that," said Bhumi, in an exclusive chat with Firstpost. “I was amazed with the director’s courage because there are no frills attached to the film. There is no cushioning. He has so much faith in his characters in his story and narrative that he didn’t feel the need to put in commercial ingredients. It is a new-age narrative and Chaubey is one of those directors who adds value to cinema, improves cinema and clears the path for better films to be made,” she further says. “I also watched Bandit Queen and Paan Singh Tomar many times because these two films were the only reference points,” added Bhumi. And like many others, the only image of dakus she had before doing Sonchiriya was Gabbar from Sholay. “But after doing the film, I realised that they are the regular people and only because of different circumstances, whether right or wrong, they have decided to go against the system. But in the film, we are not defending or justifying anything. We have just shown their journey,” said the actress. While physical hardships, shooting the film in Chambal was not a cakewalk. Bhumi says the terrain and the experience added to their characters. “I don’t think we could have performed or have been as driven to the part of the story had we not been in a situation like this. We were literally living on basic necessities. It was so cold that we were all huddled up together just trying to be warm and we became so close as a unit, as a family, and that only led to making a good film,” said Bhumi. She added that she has been deeply impacted on a personal level by the dacoit drama. 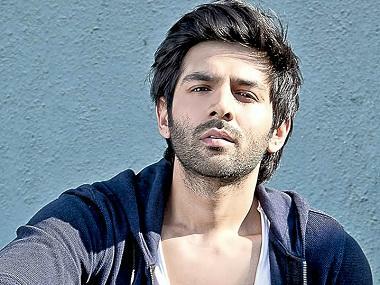 “Working on Sonchiriya has made me a nicer person. I have become more humble. I have a lot of gratitude for the opportunities that are given to me and the kind of family that I am born into. It has made me a stronger human being,” she said. She has her hands full with some interesting projects and meaty roles. 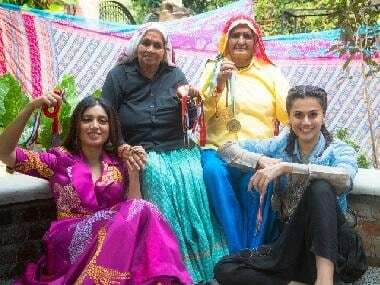 “I am currently shooting for Saand Ki Aankh with Taapsee Pannu. It is again a fantastic story about the world’s oldest sharpshooters, and it is a biopic. It is such a wonderful story of spirit and courage. Then, Ayushmann (Khurrana) and I will reunite for the third time for Bala, which is a quirky rom-com. Then there is Pati Patni Aur Woh and Karan Johar’s Takht,” says Bhumi.